If you need your teeth corrected, Invisalign and braces are two effective and popular treatments available to you. Both are slightly different, so it’s important to know the differences and which option is best to get you that winning smile. Your teeth and smile have a lot to do with confidence and self-esteem. If anything is misaligned, crooked or causing you pain, it’s critical that you start treatment fast to avoid any long-term damage. It is because better aligned teeth aid in more effective cleaning, leading to long term dental and overall health. The good news is aligning your teeth these days is a very straight-forward and simple process. No matter what your situation, a dentist will be able to help you correct any misalignments and set you on a path back to perfect dental health. Invisalign and braces are easy to fit, both are effective at straightening your teeth. They are similar in many ways, but there are some differences you should know about before deciding which one is better for you. Here is a summary of what you need to know about Invisalign and braces to help you make the best choice for a fast and effective treatment. Invisalign is a more recently-developed treatment that provides a good alternative to braces. This clear and invisible system makes it possible to keep a bright and unchanged smile while letting your teeth align back to their proper position. Invisalign is great for those who don’t like the idea of metal braces, or are worried about having something fitted more permanently to their teeth. They allow much better ease for cleaning and therefore preventing a lot of potential decays during the period of having braces. They are generally used in situations which do not require extensive or complex movements to align crooked teeth. Although recent technology has allow Invisalign to do more and more complex cases. This treatment uses transparent removable aligners to straighten your smile, which are made from clear BPA-free plastic. They are virtually invisible to anyone else. Unlike braces they’re not fitted to your teeth, it is essential to take the aligners out for eating, drinking or when brushing your teeth. These aligners are replaced usually once every fortnightly, sometimes weekly with the next one in your treatment plan until finished. They’re more comfortable than braces and easier to wear. They are usually much less painful than conventional braces and most people do not require any painkillers at all. However, regular care is still paramount to ensure effectiveness of your treatment. Duration of wear: Worn around 22 hours per day over the course of treatment. Depending on the severity of the case, it can range from 3 months to 2 years or more. The duration usually can be predicted at the beginning of your treatment. Care needed: Brushing and rinsing trays are needed for the removable aligners. These trays must be changed every 1-2 weeks. They must be taken out for eating, drinking and brushing, and must be worn at night. 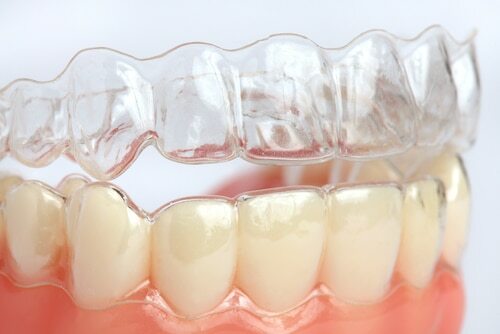 Dental maintenance: Invisalign will need visits to your dentist every 4-6 weeks or as directed. Precautions: Your dentist will need to assess your overall dental health and oral hygiene level prior to commencement of treatment to determine your suitability. Uncontrolled decay, gum disease and few other circumstances will deem the patient unsuitable. In the past, braces were known to be painful, be on the teeth for a long time and make your smile look a lot less than perfect. If your parents had braces they might have stories about how frustrating they were. But thanks to advancements in technology, you’ll be happy to know braces have completely changed and still are one of the best treatments you can choose. 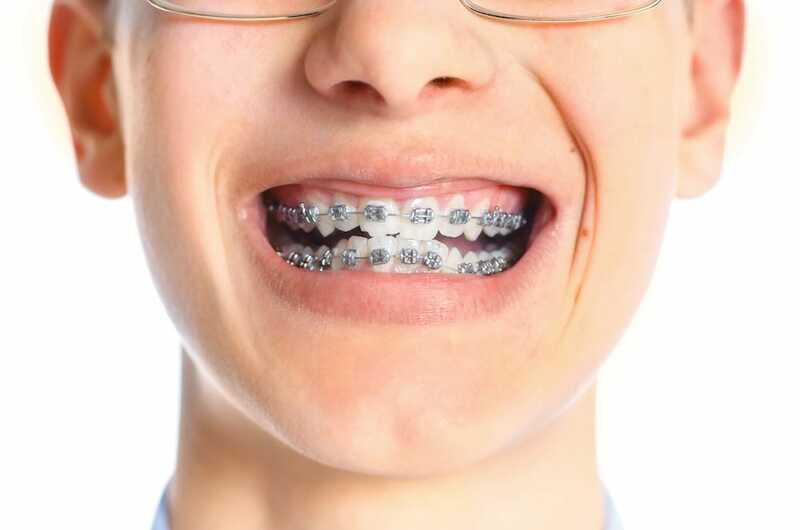 Modern braces have been redesigned to be very functional and non-invasive. They can now look stylish and minimal, are more comfortable, and come in a range of colours. If you’re worried how braces will look on your teeth, ask your dentist what’s on offer – you may be nicely surprised! Conventional braces are necessary for more complex cases which requires a lot of teeth movements, for example in extraction cases. They do have the potential to be more painful when compared to Invisalign, but your dentist can always recommend appropriate painkillers if needed. If pain is experienced, they are usually short-lived as your teeth and ligaments around get used to the forces applied. Orthodontic braces are made up of a series of metal/ceramic brackets attached to each individual tooth, which are connected with rubber-like bands and metal archwires. This is all fitted to your teeth permanently during the course of your treatment, which means you don’t have to take anything on or off on a regular basis. Braces need regular tightening and adjustments from a dental professional. You will need to be a bit more careful about what you eat to avoid having food stuck between the braces or risk knocking the brackets off the teeth. Oral hygiene is absolutely critical because the last thing you want is to have straight teeth but end up with many holes around your teeth! Duration of wear: 1-3 years depending on the severity of the case. Average is around 2 years. They are fitted to your teeth so they are worn 24 hours a day. Care needed: The brackets, bands and wires in the braces need regular brushing and cleaning. Flossing is difficult but possible. There are many different tools and gadgets on the market to allow this, your dentist can show you the tricks and techniques to help you maintain optimal oral hygiene. Dental maintenance: Visits around once a month to your dentist or orthodontist so they can adjust the braces and ensure cleaning. This will become less after the first 6 months of wear as your teeth get used to the braces. Invisalign vs Braces: What Should You Choose? At the end of the day, both treatments are highly effective and will align your teeth extremely well. You should choose one that will suit your lifestyle the most, won’t interfere with your day-to-day activities and is effective enough in your situation. And if you’re not sure, you can always ask for guidance or advice from your local dentist! At dhealth, we offer a complimentary check-up to assess your suitability. We will be able to quickly and effectively identify your need and recommended which option is best for you. To learn more about braces or Invisalign treatments, contact dhealth today.